Sending account statements via email is never something we want to do - email addresses get updated, inboxes get full, spam filters get too sensitive and email just doesn't have the same level of timeliness we want. That's why we've made it easier by storing all your account statements within your BugHerd account as soon as they're processed. 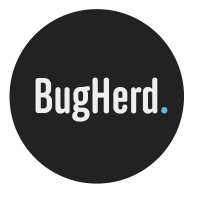 The next page will show you a list of every single issued statement from BugHerd for you to download, available to you at any time!